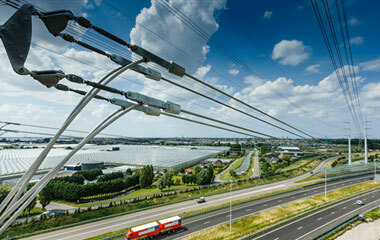 The electricity grid is installed, managed and maintained by the Dutch and German grid operators. The grid operators are also responsible for connecting customers to the electricity network without prejudice. 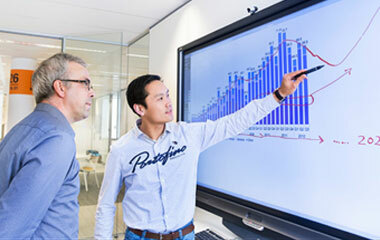 The Dutch electricity grid is installed, managed and maintained by the grid operators. TenneT operates the national high-voltage grid, while low-voltage electricity (150 kV or less) is transmitted by regional grid operators. The grid operators are also responsible for connecting customers to the electricity network without prejudice. For a full list of regional grid operators and more information, please visit the ACM website. In Germany, the operators of the high-voltage grids, i.e. the 220 and 380 kV grids, are designated as Transmission System Operators. The Transmission System Operators are responsible for the secure transmission of energy, whereby they constantly monitor the balance between the demand for and provision of power and intervene in the market if necessary. 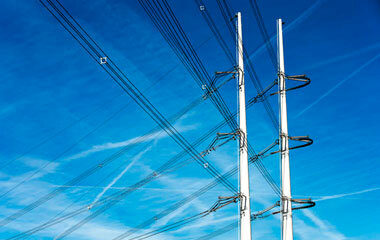 In addition, they are responsible for the maintenance of the grid and its expansion as needed. In Germany, there are four Transmission System Operators, each of which is responsible for their control area. With a network ranging from the Danish border down to the Austrian border, TenneT is the largest Transmission System Operator. The TenneT system runs from north to south through the middle of Germany. Amprion GmbH, headquartered in Dortmund, is responsible for the transmission grid in western Germany (bordering on the Netherlands). The network in eastern Germany is operated by 50Hertz Transmission GmbH, headquartered in Berlin. TransnetBW, headquartered in Stuttgart, operates the transmission grid in Baden-Württemberg. Go to www.bundesnetzagentur.de for more information.